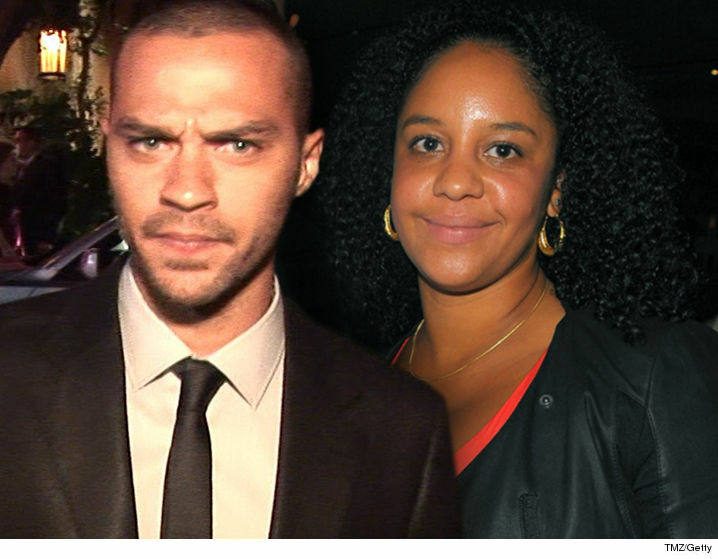 Jesse Williams is definitely not happy with lies his estrange wife is giving their kids about him and he is saying, 'hell...no'! he doesn't have a girlfriend. He insists she's all wet when she claims he has a girlfriend. According to report, Aryn Drake-Lee has claimed Jesse is romantically involved with a woman the kids call Mama C. She claims it's in violation of their custody arrangement which requires them not to introduce a significant other until the relationship has lasted 6 months. He says she's a longtime mutual friend of theirs and that's it. Jesse just filed legal docs saying Aryn has been interrogating their 2 children, trying to find fault with things he does. She claimed in earlier docs his inconsistent schedule was disrupting their lives, hurting their development, but he calls BS, saying the kids eat their meals and get plenty of sleep while they're with him. Jesse says it's rich for Aryn to complain about his work schedule, saying, "This is how I always supported our family and Aryn has no problem enjoying the financial benefits, including the $50,695 per month I pay her in temporary spousal support." As for Aryn's claim Jesse violated school rules by bringing cupcakes for Sadie's birthday, he says the treats were the teacher's idea and he only brought them with permission from her. 0 Comment to "'I don't have a girlfriend'- Jesse Williams"